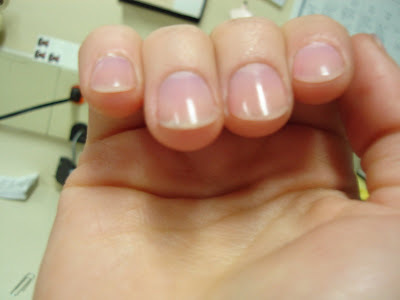 I'm in the middle of a big move, and even though my nails are short, I still hate breaking them. I got an acrylic overlay over the weekend. 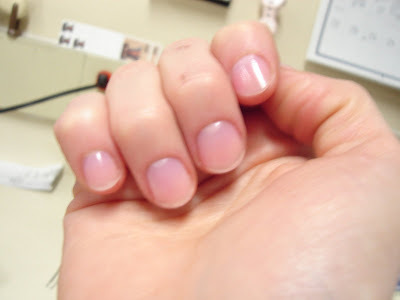 If you're not familiar with this it's basically a thin layer of acrylic over your natural nail. It helps protect it and the best part... polish lasts way longer! I know the jury's still out on acrylics but done right they can look tasteful. So here they are before I polish them tonight.